In one sense, Bolivia is a land of otherworldly landscapes and indescribably beautiful natural spaces. In another, it’s home to centuries-old mountaintop cities built on diverse cultures and history by turns turbulent and fascinating. This tour unites both elements into a captivating whole. It starts high in the clouds in La Paz, Bolivia’s administrative capital. After taking some time to adjust to the altitude (11,942 feet (3,640 meters) above sea level), you’ll set out with a private guide to tour the city’s famous Mercado de los Brujos (Witches’ Market), hike through the lunar landscapes of the Valley of the Moon, and explore the ruins of Tiwanaku, a mysterious city built by an advanced pre-Inca civilization. From La Paz, the scene shifts southeast to Sucre, the whitewashed colonial capital. Here, you’ll visit the Casa de la Libertad (House of Liberty), the Museum of Indigenous Art ASUR, and a pair of impressive churches before taking a stroll through historic Parque Simón Bolívar en route to the scenic La Recoleta viewpoint and a thrilling cultural performance over dinner. Next stop: the famed salt flats of Salar de Uyuni. 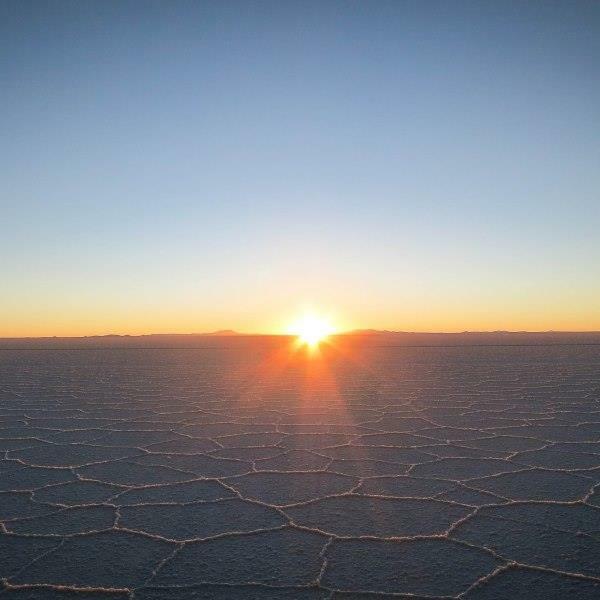 A must-do on any trip to Bolivia, you’ll spend four days exploring the region and taking in the unbelievably beautiful sunrises and sunsets in the company of a private guide. The landscape here changes depending on the season, but the beauty of Uyuni’s many sights – including Isla Incahuasi, a rocky cactus-lined island in the center of the flats; the fascinating train cemetery; the picturesque Valley of Rocks; and the Eduardo Avaroa National Reserve, home of the Árbol de Piedra (“Stone Tree”) rock formation.